Phonar Akustik GmbH is a small German HiFi Company which manufactures three different lines of loudspeakers (Ethos, Veritas and Credo). Exactly like Duevel (you might have read my review of the Planets published some month ago) this Company builds everything at home, hence these loudspeakers are entirely and proudly made in Germany. Or so they claim. Phonar is a Company founded in 1983 by Klaus Henningsen, who started his venture in HiFi back in the late Seventies, importing Danish speakers. From 1998 the Company is managed by his son Kai. 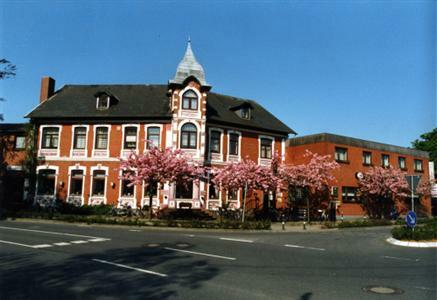 Operations take place in Tarp, a small and nice town in the extreme north of Germany. 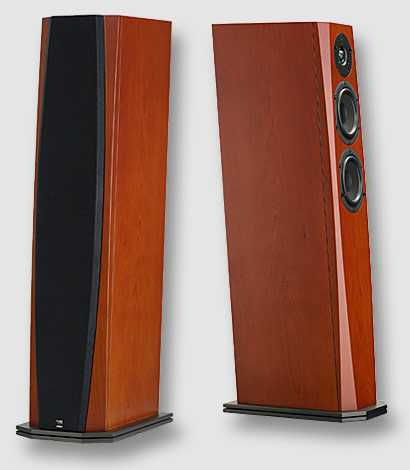 The speakers I'm about to review are the Veritas P4 NEXT floorstanders. The Veritas series includes smaller and larger towers (P3, P5, P7), a bookshelf (M3), a center channel (C3) and a subwoofer (S7). The street price for a pair of Veritas P4 should be around 1600 €. Availability is guaranteed by a network of authorized dealers worldwide. The Veritas P4's are very nice and slim 3-way (2 + 1/2, actually) floorstanders (92.7 x 19 x 29.5 cm) which weigh in at slightly less than 20 kg each. 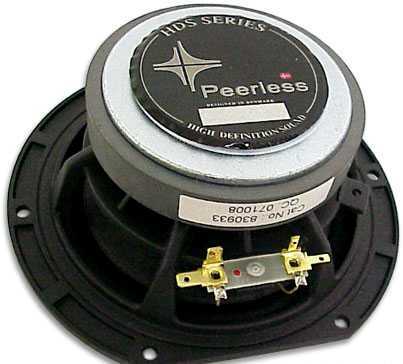 Woofer and midrange are 130 mm units from Peerless (HDS 830933), the first crossover cut is at 700 Hz and the second is at 2800 Hz. The tweeter is a rather conventional 1" dome unit, a Scan Speak D2604/83000 (here the PDF datasheet) and its level can be adjusted within a 2 dB range (0 dB, +1 dB, +2 dB) by means of a rear positioned jumper (see scheme at your right). Internal wiring has been carefully chosen and makes use of WireWorld Stream 16/2 cables. These speakers are claimed to have a 89 dB/w/m sensitivity which seemed just a bit optimistic to me. Claimed nominal impedance is 4 Ohm while power handling is around 130 watt RMS (175 peak). The bass reflex system is rather unconventional as it uses two rear firing ports, one for the woofer and one for the midrange. Internally, the cabinet is divided into two parts: one volume for the midrange and the other one for the woofer. This explains why there are two different reflex ports. In the rear, besides these reflex ports, you can find two pairs of widely spaced high quality binding posts and the high frequency jumper system. The whole cabinet is extremely solid and acoustically well-damped inside (lots of acoustic foam everywhere). The quality of the finish is extremely good, and you can choose among many different veneers (including piano black and white), see the Phonar website for details and pics. They come with a remarkable full 5-years warranty. The owner's manual is simple but detailed and filled with useful installation tips. Other useful tips can be retrieved directly from the manufacturer's website (in English and in German). At the moment (May 2012) there's no English translation for the P4 page. This model hasn't been listed in the English section of the website yet. Don't let the 1600 €/pair price tag fool you: these speakers look much better than the price tag would suggest. I've initially listened to these speakers setting the treble adjustment at 0dB (i.e. no jumper at all). This should produce the flattest frequency response. With this setting the Veritas P4's sound excellenty linear, I'd say mostly neutral within the whole audio spectrum. Bass frequencies extend nicely till 40 Hz and maybe even deeper than that. Considering the size of the drivers and of the cabinet, the result is remarkable. I've just noticed, in the mid bass region, a slight trace of boominess, as it sometimes happens with similarly sized tower loudspeakers. The bass range is powerful but it seems to prefer the body of the instruments rather than their percussive aspect. For example, the kick drum is powerful and well extended in frequency, but it lacks a bit of its percussive impact. More or less the same applies to (electric or acoustic) bass notes: you can distinctly hear the way the strings vibrate after they've been hit, but there's a lack of energy during attacks (the moment the fingers hit the strings). Modifying the distance from the rear wall produces some variation but the character of the bass range remains mostly the same. One of the things I liked most is the quality of the high range: certainly the ScanSpeak tweeter does play a role here as it sounds well defined, natural and sparkly (when required) without being harsh or fatiguing. Cymbals harmonic structure, for example, is extremely rich and I'd say naturally metallic. Voices, both male and female ones, are very realistic and with a breathtaking presence effect. If you prefer a brighter sound, you can try setting the +1dB or +2dB level using the jumper system in the rear. The sound of the speaker doesn't change radically, but this slight boost might help with certain recordings or listening rooms. Overall, I tend to prefer the perfect equilibrium of the 0 dB setting. These speakers are also extremely transparent, they have a natural attitude to retrieve details and micro informations, even when playing complex musical programs. Despite this attitude, they never sound fatiguing, thanks to extremely low levels of distortion. Because of this, and thanks to the support of a powerful and deep bass range, they can easily be at home with any musical genre, be it rock, pop, classical, jazz, acoustic...your choice! 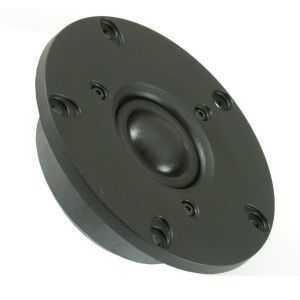 The Veritas P4's can handle high power without problems, they can sound loud, extremely loud if required. Overall, their dynamic performance can be rated as extremely good in the deep bass and in the highs, just good in the mids: as said, they seem to lack some energy on percussive sounds, especially if these are centered in the mid range. For example, the snare drum, which should sound as a gun shot most of the times (especially on rock tracks), is a bit...shy. It is fast, but not explosive. More or less, as already noted, this can be said for the kick drum. Besides this minor complaint, these Veritas P4's are entertaining and lively. Generally, the PRaT performance is very good, since attacks and decays are reproduced correctly. They can impress even with highly demanding musical programs. For example, they surprised me playing - at quite high listening levels! - Massive Attack's Angel (one of my favourite speaker killer tracks) with plenty of energy and impact. You wouldn't expect this kind of performance from two 13 cm woofers, for sure. You need to perform several experiments to get the best 3D image these speakers can create. The manufacturer suggests a rear wall distance between 10 and 50 cm but this heavily and negatively affects the depth of the soundstage. Keeping these Veritas at 1 meter, for example, is much better: the soundstage becomes wide and deep, with an excellent focus. The sturdy cabinet, the phase alignment of the drivers (the cabinet has a 5° bend backwards) and the narrow baffle certainly play a significant role in building a stage that is extremely stable and which extends way beyond the speakers, laterally. A small amount of toe-in might also help. If you love a large and stable 3D soundstage, these speakers won't disappoint you. They have that special ability to literally disappear from the virtual stage. Moreover, I'd have preferred a different way to adjust the treble level, for example by means of a switch. The jumper system isn't exactly user friendly though - perhaps - is the best sounding solution. Very few complaints in this section, too! I'd have preferred a punchier performance in the mid range and a bit of extra control in the mid bass range. These speakers are supplied with a set of spikes that you might want to test. In my opinion these aren't strictly necessary, as the wide base of the loudspeaker offers a solid and stable interface with the floor. Of course spikes become mandatory if you place the speakers on a carpet. Feel free to experiment with isolation feet, also (Vibrapods and similar devices). 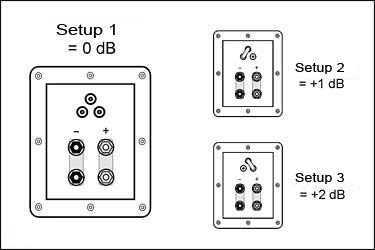 Of course, usual installation tips apply: keep the speakers far from nearby walls to get the best soundstage and bass linearity. The manual suggests the distance from the rear wall should be between 10 and 50 cm. Personally, as said, I prefer slightly more than that. Feel free to experiment with small amounts of toe-in as well. As for partners, use similarly neutral ancillaries if you wish to preserve the equilibrium these speakers possess in spades. If your system is a bit on the dark side, just adjust the level of the tweeters accordingly. When considering the right amplification for these speakers please keep in mind they are not an easy load (4 Ohm, <89 dB) so I'd prefer to avoid low powered amplifiers, especially if the listening room is large. My opinion is that they prefer solid state gear, instead of tubes, but your findings might be different. Feel free to experiment. I've seen a set of electrical measures published by a German magazine and nominal impedance turned out to be a lowish 3 Ohm, with a minimum of 2.8 Ohm (!!!) at 200 Hz: not exactly a friendly load for any amplifier!!! Finally, the usual 50 hours of initial break-in might be necessary. Extremely well crafted and enginereed, reasonably priced and good sounding, these speakers should be placed high on your wish list if you are in the market for an elegant, classic tower loudspeaker. Considering these are entirely made in Germany, their quality/price ratio should be rated as extremely high. There's not a particular area where these speakers excel in, as they do all the fundamentals extremely well. It is very easy to live with them. In this price range you can find competitors which can do better in certain areas but it is not easy to find the same kind of equilibrium they offer. This aspect makes them a very wise choice for the music lover who listens to many different musical genres and hence searches for a speaker that can perform equally well in every circumstance. In other words, there's equilibrium in veritas (veritas is Latin for truth).